The national fight over sugary soda is bubbling up in the San Francisco Bay Area, where voters in November will consider a tax on the drinks that many health experts say contribute to diabetes, obesity and tooth decay. Backers of the campaign say a penny-per-ounce tax is needed in San Francisco, Oakland and tiny Albany to curb consumption of sweetened cola, sports drinks and canned teas that people gulp without thinking, adding empty calories. Opponents, however, say a "grocery tax" will lead to higher prices on other goods, hurting small businesses and customers struggling to survive in one of the country's most expensive places. They also warn that city leaders can use the money however they want, despite talk of putting it toward health programs. "We work so hard to keep the price low as much as possible, and we work every day to continue to stay in business," said Adel Alghazali, who recently talked to reporters at his produce market in the low-income Mission District. Only a couple of other U.S. cities have adopted such a tax. Voters in Berkeley approved a penny-per-ounce soda tax in 2014. And Philadelphia did so in June, taxing diet drinks as well. The American Beverage Association is suing to prevent the 1.5-cent-per-ounce tax from taking effect in January. Bay Area success this fall could tip the national conversation, said Lawrence Gostin, a global health law professor at Georgetown University and tax supporter. 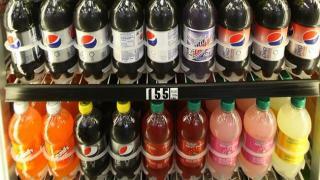 Voters in Boulder, Colorado, also will decide on a soda tax measure Nov. 8. "Not long ago, it would have been unthinkable to tax soda, and now, not only are we thinking about it, we're doing it," Gostin said. The Bay Area campaign battle is costly, with opponents funded largely by the American Beverage Association reserving nearly $10 million in television ad time. Meanwhile, soda tax advocate and former New York City Mayor Michael Bloomberg has donated about $1.7 million each to the Oakland and San Francisco campaigns. This is San Francisco's second try at a soda tax. In 2014, a similar proposal failed to get enough votes for a "dedicated" tax, which requires a two-thirds approval. This year, backers went for a "general" tax, which requires a simple majority and doesn't stipulate how the revenue is spent. The beverage industry, which spent more than $9 million to defeat the 2014 measure, has pounced on that difference with mailers saying the money "could be spent on anything." They've also infuriated tax advocates by calling it a "grocery tax," arguing business owners will be forced to raise prices on other items to spread the cost. The tax is on distributors and is not paid by customers who buy the drinks. Tax proponents have fought back with their own nonstop ads, clarifying that voters would be approving a small tax on soda — not on everything else at the store — that will improve the health of children and families. Both sides are courting low-income and minority voters, who tend to drink more sweetened beverages. Soda tax backers, for example, have stepped up outreach to voters in historically black and Latino neighborhoods that rejected the tax two years ago. In turn, the beverage industry has enlisted the help of store and restaurant owners in diverse and impoverished pockets of the bay. Clem Howard was among campaign volunteers canvassing the Bayview-Hunters Point neighborhood on a hot Saturday, checking her clipboard as she knocked on doors. Howard, who is African-American, said her mother was diagnosed with diabetes but couldn't give up drinking several cans of cola a day. She said her baby sister and brother-in-law are diabetic but still drink pop, even though her brother-in-law lost a toe to the disease. "So this is very personal for me," Howard said. "That's why I'm out here working so hard, sharing my story and trying to just spread the word about the impact of sugary drinks." Roughly 13 percent of African-American and Latino adults are diagnosed with diabetes, compared with 7.6 percent for whites, according to a 2014 report by the Centers for Disease Control and Prevention. The American Heart Association recommends children consume less than six teaspoons of added sugar a day. A 12-ounce can of regular Coca-Cola contains nearly 10 teaspoons of sugar and 140 calories.